In The Vegan Project’s collective piece on New Years’ resolutions (http://www.theveganproject.com/resolve-this-2016-the-vp-team-resolutions/), my number one resolution at the top of the list was: Shift over to 100% cruelty-free and (preferably) local, natural beauty products and cleaners. A sub section was resolution two: continue the quest (and find a winner) for a natural, cruelty-free, deodorant that actually works. We’re talking a product that can stand through boxing training, Bikram’s classes, and hikes. Cruelty-Free beauty products have been heavy on my radar since before high school. I spent hours handwriting (yes, handwriting-gasp-) letters to large-scale corporations such as Proctor and Gamble, Unilever, and Loreal; businesses that own significant portions of beauty products and lines on the market today, and those that are most well known in the community for executing regular animal testing protocols on their products. Anyone who follows these discussions knows that they are multi-faceted, perplexing at times, disturbing, and ever-changing. Companies claim to test, then not test; some individual brands may not test, but may lie under ownership of a large-scale group that does. I am vegan for three reasons: the way I feel about animals, and my commitment to not determining their worth based on their “use” for humans (number one), personal health reasons related to challenging family medical backgrounds (number two), and undeniable environmental impact that occurs as the result of the animal industries. Choosing to move, commit to exclusively 100% Cruelty-Free products, and commit to updating my personal research on brands and practices on a regular basis, is a decision that parallels directly with number one. 1. Celestial Face Lotion (tied with Aqua Marina Face Cleanser) || Lush (note: some Lush products do contain Ethically-Sourced honey, which is clearly marked on the packaging). I am the bearer of hyper-sensitive, fair, and did I mention sensitive skin. For some lovely reason, this sensitivity is most prevalent on only my face. If I use the wrong product, my face will flush and burn, to the point of needing ice packs at some times in the past. Natural products (up until now) always seemed to be the main culprits, and for years I used Cetaphil, witch hazel from the drugstore and nothing else. Enter: Aqua Marina. This is a beautiful, chamomile-based cleanser that soothes the most irritated and sensitive complexions. It is sold by the “slice”, rolled in Nori (nourishes the skin), some aloe vera, and gentle exfoliation care of sea salt. Pair with the Celestial Face Lotion, a Lush classic moisturizer that absorbs into the skin, does not irritate, does not sit on your face overnight, make you turn red, OR cause breakouts to happen at their own free will. #DreamTeam, much? There was a deep love affair between Kiehl’s Abyssine Eye Cream and I, for many years, until I found out that it was on the “No” List when it comes to Cruelty-Free. This was something I started using in my early twenties, so ending our relationship meant that the next one to come along had to hold up to some pretty high standards. NuReveal is created by hand, in small batches, in Venice Beach; I discovered them through the ever-dependable Instagram. The Bright Eye Serum has been in use for several weeks, and its power has kicked ol’ Abyssine to the curb. Jojoba Oil, Rosehip Oil, Rose Absolute, Jasmine Oil, Hemp Seed Oil, Vitamin E, and Apricot Oil, combine to create a force that is equal parts moisturizing, healing, rejuvenating, and preventative. One drop not only does well for both eyes, the serum can be used all over the face, smells amazing, and leaves the eye skin well-nourished, prepped, and smelling like roses in the morning. There are two things I can state, on behalf of the masses, with complete confidence.Without naming names, we all used (or have used) a particular chest salve when it comes to colds, congestion, and flu. Said chest salve is not Cruetly-Free. Two, no one in Vancouver gets through the late Fall or Winter without having a cold or cough; supported by our lovely and trusty weather. Therawise saved me many times this season, with an alternative to the “mysterious chest salve”, based off of essential oils and (bonus!) is petroleum-free. Its scent is not abrasive, but comforting and refreshing. Helps the nose, calms coughing, and bonus: you don’t wake up with a sheet of it coating your pajamas and/or sheets. Enter a new contender for the Vancouver Staple Item category. Honorable mention: SHO Skin-Healing Ointment, for your immeasurable support while training for boxing fights. Truth be told, I don’t even want to think about some of the chemicals I willingly smeared all over my armpits for years. When I started wearing deodorant, I opted for the most fruity, sweet-smelling gel formulas, that not only stopped you from sweating altogether, made you smell like a saccharine fruit basket while simultaneously pumping your pits full o’ mysterious ingredients. Here is the thing about Cruelty-Free, natural deodorant. It’s just not the same. It can’t hold up the way those mysterious ingredients can. It can do the job well, for a few hours, or if you limit your physical activity. Or so I thought: until I found Lafes. Lafes has been in my life for just over a month, and it has made it through the ultimate test: Bikram’s yoga. It lasts through 1.5 hours of non-stop sweat, and beyond. Other than needing a few extra moments to dry, it sits well on the skin, doesn’t end up over my clothes (primarily black), and bonus: doesn’t make my shiver when I think about its non-natural counterparts. My New Years resolution (and goal), which I thought would be a series of month-long trials and tribulations, has ended: the natural, earth-friendly, body-friendly, and animal-friendly deodorant has arrived. And hey. It works. This Mist entered my life not to specifically replace a non-CF product, but serendipitously, as I journeyed into the Robson location as an extension of this article. This is an all-over body experience, flavoured by lavender, uplifting orange, floral champa, neroli, sweet geranium, vetiver, rich rose otto and peaceful patchouli. It can be used as a perfume, a simple refresher, a post-workout revitalizer, or a fill-in-the-blank. The perfectly-sized bottle is with me everywhere I go, and similar to the aforementioned Lush products, we have managed to get along splendidly when it comes to managing my hyper-sensitive skin. This post is the first of a series, which will highlight other Cruelty-Free products and discoveries. 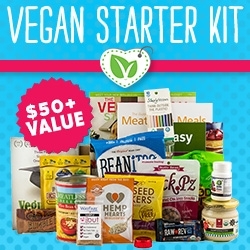 I invite you to try out these products, brands, or explore some other of the many ethical and animal-friendly options on the market! Different bodies and complexions will react to different things; and product tests and samples are always recommended. Send your favourites to zoe@theveganproject.com for inclusion in an upcoming post. Until then, a toast to all of the above, and for finally finding the infamous and effective cruelty-free deodorant.